I did it again. I broke a promise to myself. Actually I broke two. First, I'd promised myself I wouldn't buy more yarn until I'd knitted up a fair amount of what I already had in my stash pile. But let's be honest here. No knitter ever keeps that promise so that little slip doesn't really count. Right?? I'd sworn to myself that I wouldn't start another project until I'd finished my Pebble Beach shawl. Okay, so that broken promise is my fault. But who can blame me? 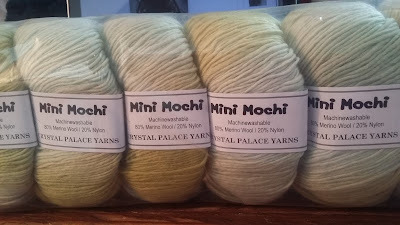 Not many knitters could resist the call of a package of Mini Mochi. 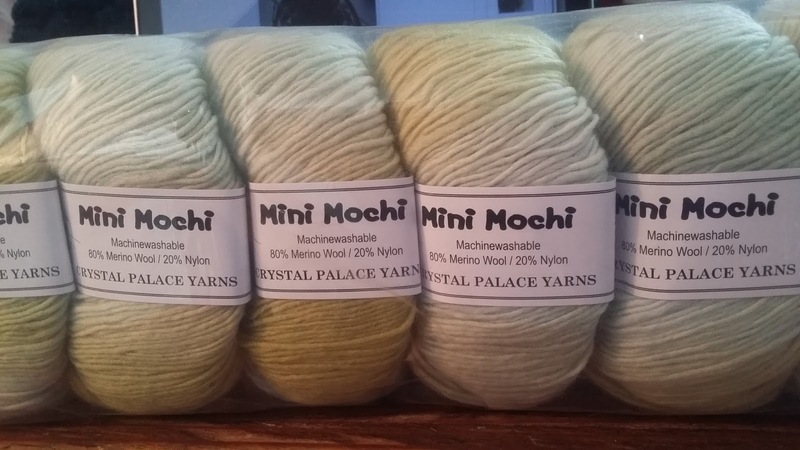 Mini Mochi is one of those yarns that as long as I have a few skeins with me, I'll be able to happily survive being stranded on a deserted island. 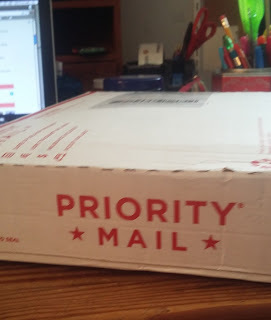 and was pleased to receive a quick response and even happier to learn they where shipping my order Priority Mail. 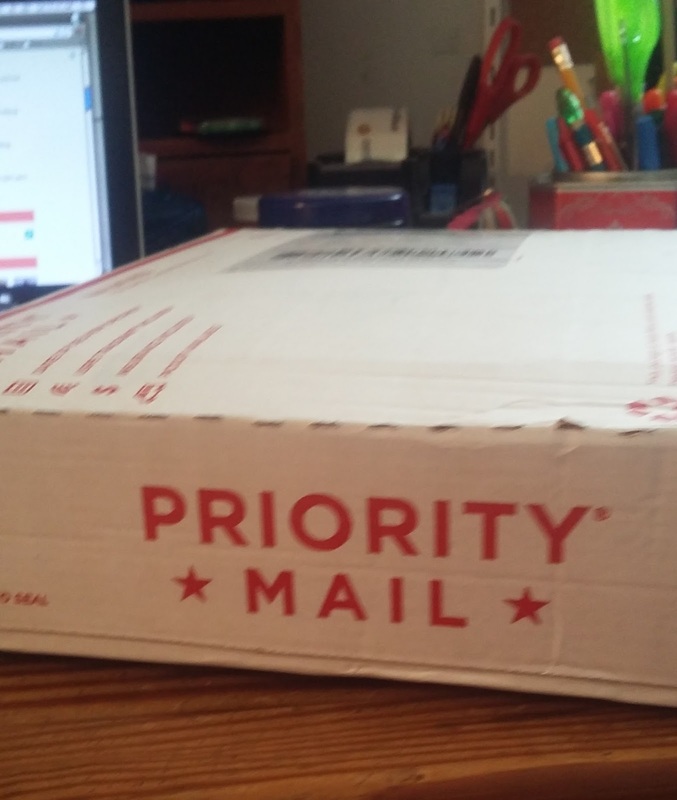 And ship it, they did. It's a Mini Mochi party! It turns out, I had nothing to be concerned about. 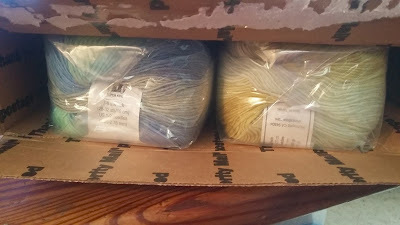 Little Knits' customer service was fantastic & their sales prices even more so! The shop has been bookmarked, I've signed up for their newsletter and I'll definitely be shopping there again. Just not until I knit up a fair amount of yarn from my stash pile. I promise.